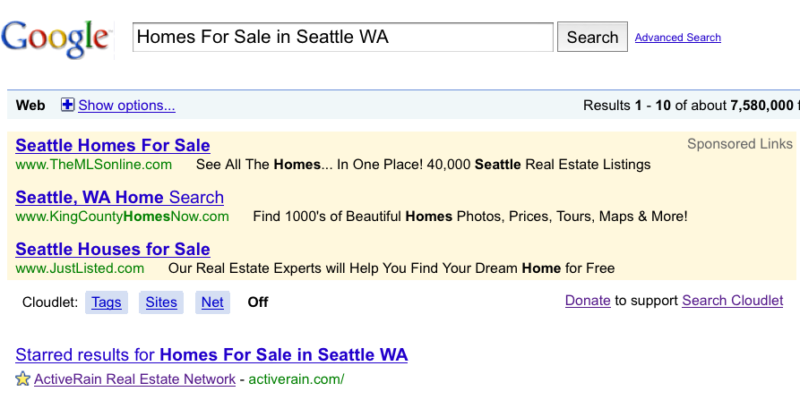 …is a keyword research utility that was created by Google Labs and allows users to discover keyword searches that are popular and built around certain specific keyword terms. 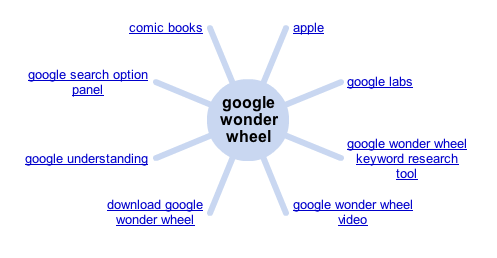 Google’s wonder wheel could be a great tool for helping writers to find new topics. The wheel can also help you dominate specific keywords and phrases in the search engines because it helps you write about the things that are the most searched for on the web using the most popular keywords or terms. Scroll down the left hand side of the page untill you come to the “Standard View” options and click on the link for “Google’s Wonder Wheel” Wait for just a moment and the Wonder Wheel will appear on the page. 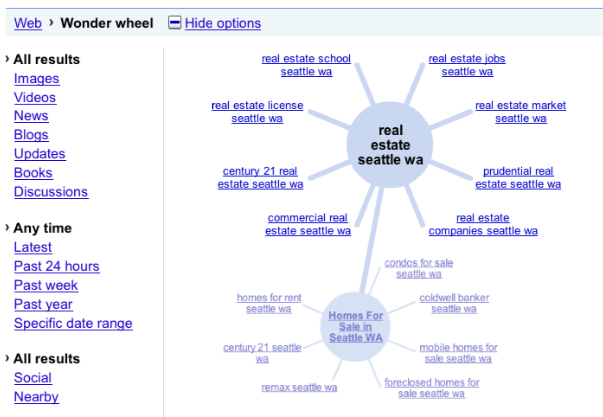 The links coming off the Wonder Wheel are popular and similair keywords, terms, and phrases that you can now use as “Titles” and “Topics” to write or Blog about. Each time you click on one of the spokes “Terms or Phrases“ a new Wonder Wheel will load on the screen displaying even more “keywords” and popular “search terms” These can be used for creating great content and getting you closer to dominating your Blog with those specific keywords or phrases. Go deeper and further into the possible options and opportunities to make your Blog’s content the most likely to be searched and found. This is like having a road map or blue print for your Blog. If you use Google’s Wonder Wheel for a variety of search terms and keywords that you want to be found with, this should save you time and headaches “Wondering” what those “Words” and “Phrases” are. There’s always going to be great tools out there, and promises to help get you the best SEO results, but in my opinion, this is one of the best and most powerful I have seen yet. Thanks to Google and Google Labs for making the “Wonder Wheel” available, and for hiding it so well, it gave me a reason to write this post.